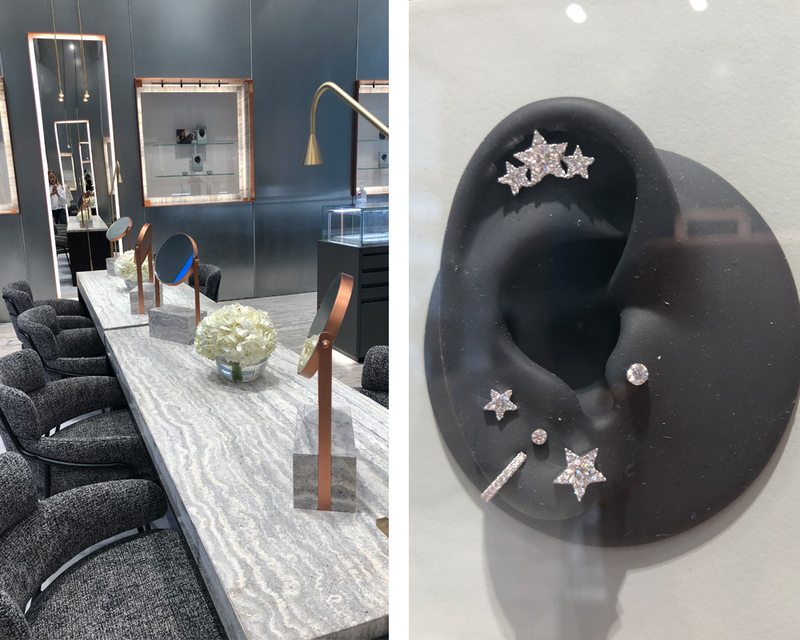 New-York-based fine jewellery designer and celebrity piercing expert, Maria Tash, has opened a new store in The Dubai Mall’s Fashion Avenue offering expert piercings in a boutique setting. It is Middle East’s first luxury piercing destination in a permanent location that comes with four custom procedure rooms and a VIP lounge. Spanning over 2100 square feet, the modern space features a consultation table, plush waiting area and of course glass cabinets packed with various gems that you can choose to decorate anywhere from the navel, up. “Working with clients from many countries in the Middle East has been a source of inspiration, and has allowed me to grow as a jewellery designer. I am very excited to be opening a flagship in the heart of the region, surrounded by its gorgeous architecture, at the new Fashion Avenue extension within The Dubai Mall,” says Maria Tash. With over 20 years of experience and innovation, Maria Tash has revolutionized piercing, and her team of experts have earned a reputation for offering the best in service. She has developed a technique through which each client’s personal style, complexion, and anatomy guide a bespoke combination of studs and rings, combined to best flatter the wearer’s ears. The designer has innovated jewellery through a variety of advancements, such as the Tash Threaded Stud, which allows for slimmer, more comfortable, and secure fits. Expect pristine procedure rooms, multiple sterilisation steps, precise application, friendly atmosphere and thorough aftercare tips.